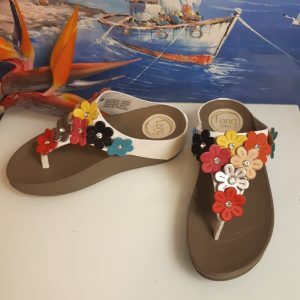 Ladies Sandals with unique geo pattern across the straps. Stylish go anywhere sandals with comfort. Crisscross straps hold feet and non slip sole. Also available in Brown. Buy Now!